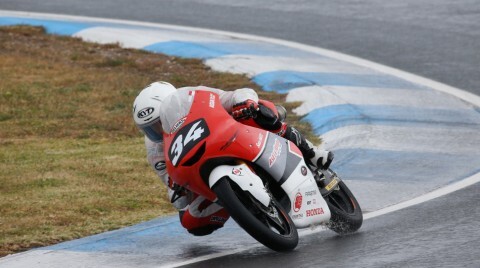 After mainly wet weather welcomed the Junior Talent Team riders on Saturday at the Circuito do Estoril, more of the same conditions were seen on Sunday as the opening round of the FIM CEV Repsol Moto3™ Junior World Championship took place, with two of the three JTT riders securing points to kickstart their 2019 seasons. The first of those was Mario Aji after the Indonesian rider was able to tackle the treacherous track conditions in fine style, eventually crossing the line five seconds back from the podium in fourth place after starting from P8 as Aji made good progression from the start. 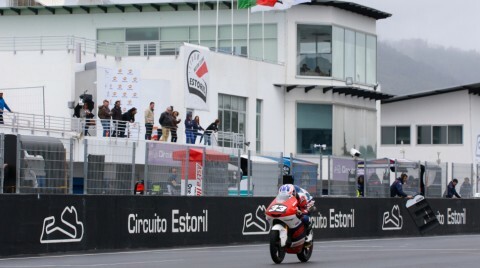 The number 34 rider managed to see off pole sitter and fifth place Jeremy Alcoba to take away 13 points from Estoril. Max Cook was next over the line for the JTT, the British rider not quite able to stick with the leading group in the early stages from a P13 starting slot. But no matter, it was a race of attrition as the relentless rain saw several fallers, with Cook managing to stay on his Honda machine to grab 13th at the chequered flag. 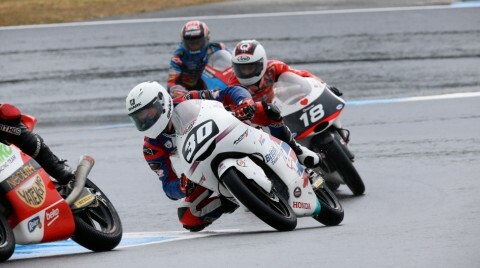 Three points on his first Junior World Championship outing was a very good effort for the 16-year-old, with Yuki Kunii unfortunately unable to score points in Portugal in the rain – a P18 finish for the Japanese rider in the end. Sadly, it was just the trio of JTT riders on track in Estoril, with reigning Idemitsu Asia Talent Cup Champion Billy van Eerde and Haruki Noguchi sidelined through injury for the start of the season. We hope to see them battling it out at the front when we visit Valencia in three weeks’ time.